Another 'ahead of its time' device, the Solar Communicator (7314) harnesses the sun's rays to send messages. The set has two variations, related to the cord that attaches the dish to the main communicator. As shown in the spin above, this is sometimes a long polyester string, and in other sets can be a shorter plastic cord, like in the packaged example below. 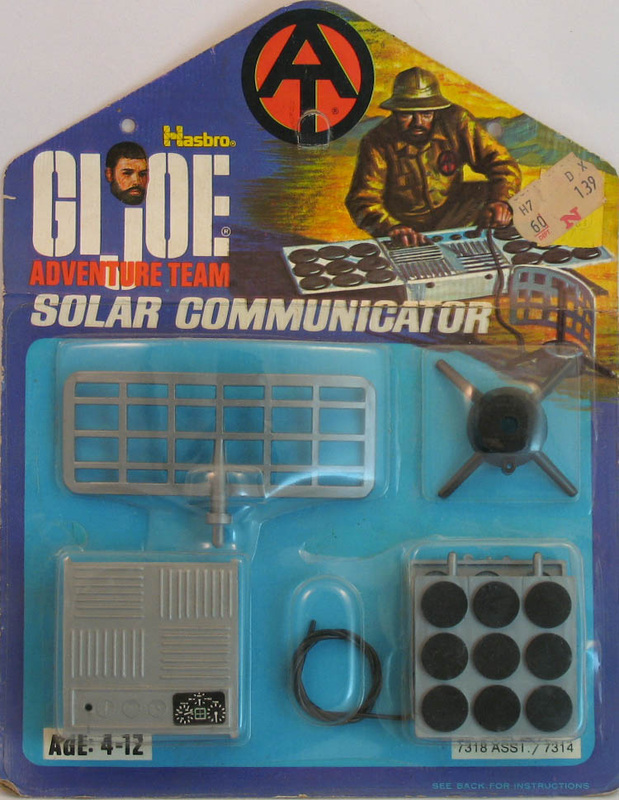 The Solar Communicator was re-released with both the Danger Ray Detection and Trouble at Vulture Pass sets in 1975.